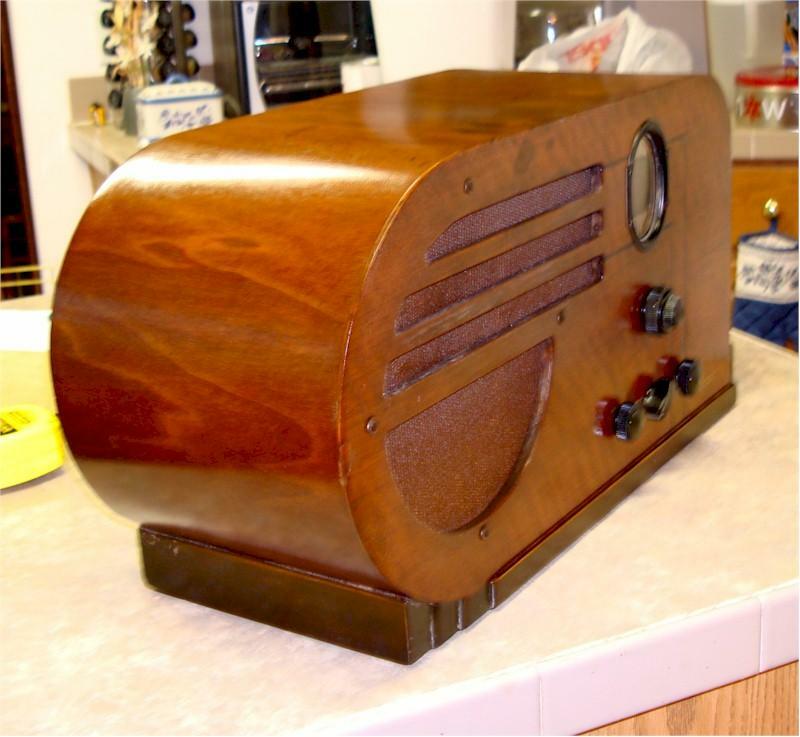 Here is a well known set made by the reliable Philco Co. These sets were like Army tanks, as they were great performing sets and built to last. The Deco cabinet has been refinished in the proper toners and stain, then finished in lacquer. The grille cloth is a reproduction of the original. The chassis has been electronically restored, replacing all capacitors and out of tolerance resistors. The set performs loud and clear on all three bands. 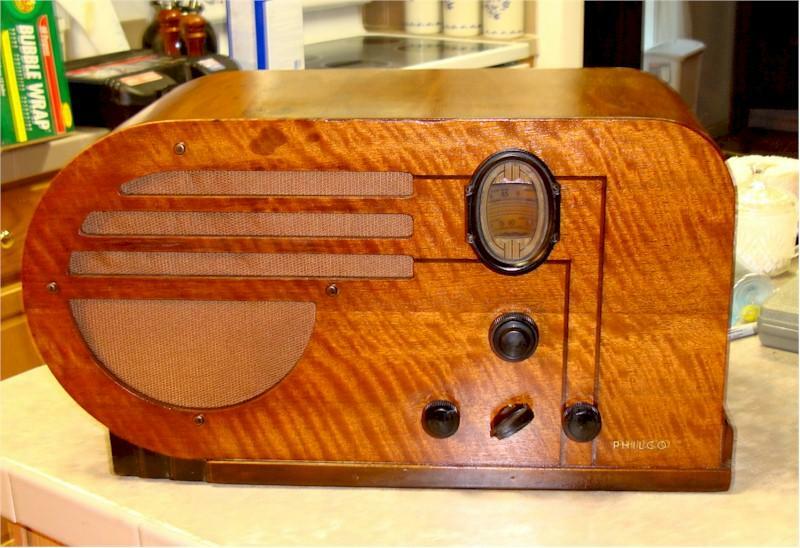 This is a great opportunity to own a beautiful Philco "Bullet." 20"W x 11"H x 8"D.
You are visitor number 4,084 to this page.